Rubber suction grip prevents damage to surface. Designed for handling glass, tiles, plastic and other non-porous material. Suction vacuum controlled by locking handle. 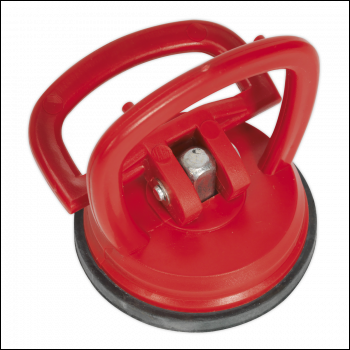 Ø60mm Rubber suction grip prevents damage to surface. Designed for handling glass, tiles, plastic and other non-porous material. Suction vacuum controlled by locking handle. Holds up to 10kg in the horizontal position.